"Together they make an unlikely trio but it worked: Gunn’s vivid, gravelly-voiced poetics, Mackenzie’s sweet and uncluttered vocals (as it was Burns Night she sang a beautiful solo Ca’ the Ewes), (Iain) Copeland’s cheesy, fist-pumping dance beats." "MacKenzie’s graceful soprano proves a natural voice to tell these stories, and to honor the differences and connections among the communities from which they come"
"The combination of Fiona’s pure voice and the imaginative and always appropriate musical backing makes for an altogether enchanting performance." 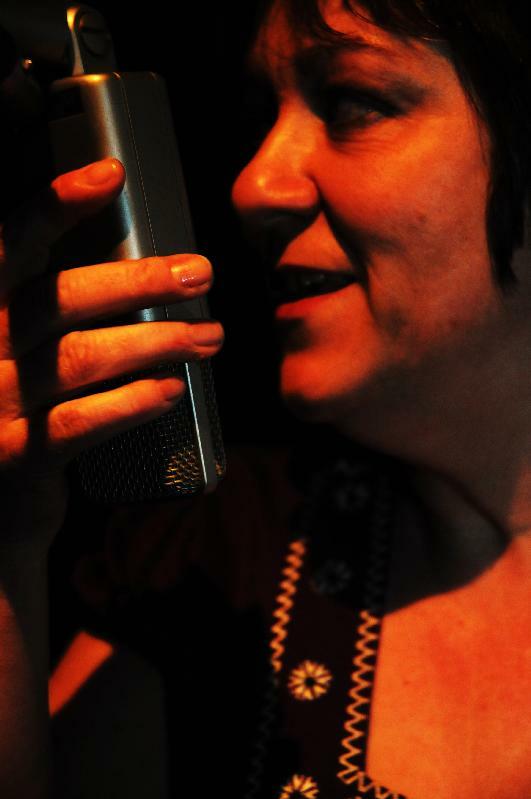 Morayshire-based Fiona, although brought up in the Scots folk tradition, sings in both the Scots tongue and in Gaelic, and has won various awards including a Mod Gold Medal. Her two previous discs on the Greentrax label were significantly enterprising and thoughtfully-planned tradition-based records which appealed to wider audiences than just those listeners accustomed to the Gaelic tradition, with 2009’s Good Suit Of Clothes (a collection of songs of the emigrant Gael) being especially persuasive. Her gift for putting together a stimulating programme of songs for home listening is similarly strongly in evidence on her third collection, Archipelago, where she brings together songs in Gaelic, Scots and Norn emanating from islands all across Scotland (Shetland in the far north to Ailsa Craig in the south). The challenge of representing the diverse beauty of the islands and their unique landscapes, and the equally diverse styles of the chosen songs, has clearly provided Fiona with added inspiration, and the result is a sequence of eleven renditions clothed in inventive and continually changing instrumental arrangements. Helping Fiona realise her vision of these songs, we find a host of guest musicians (David Lyon, Gillian Frame, Mairi Campbell, David Francis, Graeme Duffin, Sandy Jones) and singers (Barbara Dickson, Yvonne Lyon, Alex Hodgson, Iain Mackinnon) gently embellishing Fiona’s own marvellous, sweet-toned voice. The arrangements are smooth, accomplished and nicely restrained in terms of texture (ie not too richly endowed), if at times a touch too reliant on programming perhaps. However, the sparser of the settings invariably prove the most satisfying, as in the breathy, intensely evocative drone-and-clarsach-backed lament from Raasay (which opens the album) and the specially atmospheric desolation of the episodic piobaireachd-song from the pen of Skye piper and writer Angus Macphee. 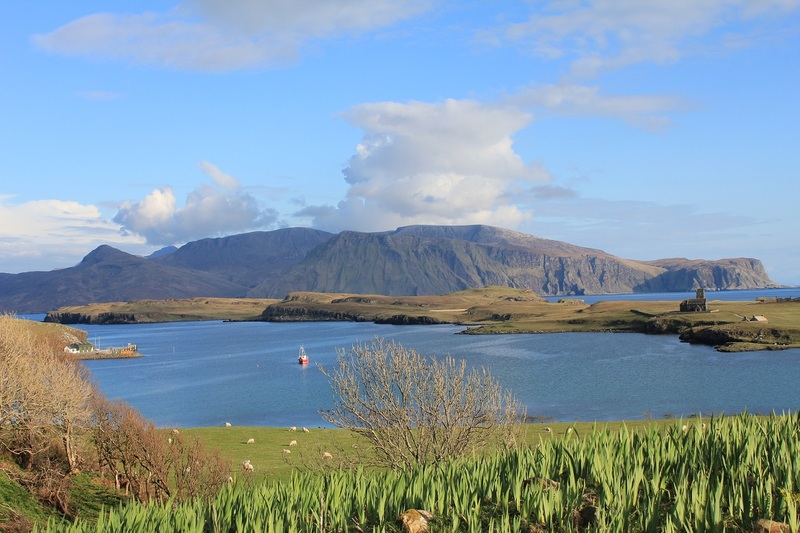 The latter makes good creative capital out of the use of samples, as also does Fiona’s treatment of the Unst Boat Song, which additionally incorporates the singing voice of John Stickle of Unst (in an eerily effective archive recording from 1947). Elsewhere, the courtship rowing song from St. Kilda is invigorating, as is Smuggler (a spirited, if more leisurely-paced version of the standard made famous by the McCalmans). Alex Hodgson takes the lead vocal on two songs (Smuggler and his own composition Marion’s Lament, which interpolates some passages of spoken Gaelic verse by Fiona herself). And the saga of the Sule Skerry Silkie is well told, if perhaps a touch too sweetly. For although I can’t fault the splendid playing or the wonderfully clean production, at the same time I can’t escape a slight feeling of over-soft-focus that only just manages to avoid compromising the craggy island beauty of the texts - this is most noticeable on the purely contemporary songs like Iain MacKinnon’s An Eilthireach (The Exile) and Gill Bowman’s Journey Back To Arran. But in the final analysis Archipelago is a very attractive release, sporting fulsome accompanying booklet with complete texts and notes and supremely beautiful design and photography in the best Greentrax tradition. Mackenzie is now one of the most compelling of our contemporary Gaelic singers, and her partnership with Duguid continues to produce music of real stature, heard here in these powerful, moving traditional songs composed over the last few hundred years. "a pretty classy piece of work with a stunning vocal performance from Fiona and a dynamic production. Initial reaction is that this is one of the year's best to date, and we don't understand a word of Gaelic. So how good must this be? You MUST have a listen." "We sure like this voice. Beautiful. The songs are very, very melodious, very musical. Lovely. And, the girl has soul. She can sing. Very comfortable with different keys and ambiences. This is a lovely album. There are some terrific backing musicians. Wonderful additional singers round it all out….. contemporary take on some very, very traditional sounding tunes…. This is a beautiful album by a beautiful singer. A standout……." "Irvin Duguid has crafted the most exquisite arrangements, remaining faithful to the spirit of the material, whilst gracing them with an overall sound that manages to be subtle, sumptuous and elegant...subtle contemporary nuances that will appeal beyond the traditional genre boundaries. The final touch of beauty is provided by the chaste and lucid vocals of Fiona Mackenzie, whose singing demands your immediate attention, demonstrating a manifest affinity to the songs that allows her to tease out the gamut of sentiments that permeate the material.....and the absolute delight of Fiona Mackenzie's singing. likely to appeal to new audiences as well as to folks more accustomed to the Gaelic tradition. Fiona’s wonderfully pure singing voice is to the fore, but she doesn’t hog the limelight,..and the arrangements, while undeniably smoothly contoured, possess a certain honest ruggedness and yet are very beautiful indeed while managing to genuinely stir and excite the listener and bring alive the emotions of the songs..... the opening Dùthaich MhicAoidh and especially Tha Thu Beò Nam Anamsa mark themselves out first time for an early replay... Another significant artistic triumph for Fiona, and another richly textured feather in Greentrax’s cap. The album not only reaffirms the talent of Fiona and Irvin, it also exhibits more musical talent. Quality performers plus quality songs plus Fiona’s passion for the Gaelic language has produced a superb 12 song CD. The vocals are strong throughout and all instrumental accompaniment compliments the blend of voices. Fiona’s understanding of the songs and the striking arrangements produced an album that would have done the emigrants proud. The album gives a voice to those who had to leave Scotland and in the year of Homecoming, it is important to acknowledge these voices and reach out to our friends and relatives overseas. The album ‘Deagh Dheis Aodaich’ shares the tales of the emigrant Gael and captures the thoughts and feelings of those who left to the highest standard. I am COMPLETELY blown away! Finally! A Christmas Album in Gaelic! The iconic Greentrax label out of Scotland continues to produce incredible music, as they seem to have the gift of finding the very best Scottish singers and musicians, and getting their projects done on a timely basis. The Scottish stream has turned into a river of excellence, so we were pretty sure we would love the brand new double Christmas album , Duan Nollaig by Fiona Mackenzie. We were right. Now, let's take a closer listen to all 35 beautiful songs. They are all sung in Scots Gaelic. Don't stop reading. We don't understand a word of Gaelic, or Scots Gaelic, outside of a couple insulting or defamatory curses. No matter. First, Fiona's voice is so beautiful and warm; the whole album makes you feel just like Christmas wherever you are, as well as Fiona's native Morayshire in Scotland. The voice is pure. No gimmicks. Just a gorgeous singer, offering her heart through her vocal cords. Our favourite of the whole banquet is Welcome, Welcome The Only Son Of God. You'll find your own. There is a whole list of really glorious musicians and singers joining her on this outing. Put this on in the background for the party. Everybody will get real Christmas glowy and not now why. There will be no family fights. Peace and love will abound. True. This album sounds brilliant. It throws off Christmas blessings, and more importantly, something else. It feels right. And, after all, that is what the whole season is supposed to be about. What a wonderful album! You have a winner there. What brilliant work! What does it say about me if I reveal that I was really engaged by the second CD? Maybe it's the adventurous, sprightly arrangements. ‘Alleluia’ is great. And Fiona’s 'Silent Night' duet with Karen Matheson is a gem. Likewise, setting the lyrics of ‘Look, coming from the East’ to the tune ‘Dark Island’ caught my attention. Perhaps the master stroke in the production was simply committing to Gaelic as the song medium. So often when I listened to some of the less familiar (English) titles the lyricism of the Gaelic and the evocative arrangements began to convince me these were songs I grew up with! Well done all around. A Christmas album with a difference, and certainly an alternative to the ubiquitous Slade! Congratulations on a lovely album, Fiona. The music is so totally uncommercialised, and celebratory for all the right reasons. I love the instrumentation as much as the singing. Strikes me that you've paid a whole lot of attention to quality, and to getting the best musicians and technical guys on board. Well done!!! I really do hope I can come to the Glasgow gig. CLUINNEAR ceòl Nollaig am pailteas anns na bùthan agus air na sràidean ann am meadhan baile Ghlaschu aig an àm seo, agus gu dearbh b' fheàrr leam gun robh e cho tlachdmhor agus inntinneach ris a' cheòl a tha ri chluinntinn air Duan Nollaig - an dà CD a chlàir Fiona NicCoinnich do Ghreentrax (CDTRAX 320D). Air fad, tha 35 òran agus laoidh ri'n cluinntinn, agus tha Fiona ri moladh gu mòr airson na rinn i de rannsachadh gus uimhir seo a lorg. Am measg na th' air a' chiad CD, tha laoidhean ainmeil mar Leanabh an Àigh, Anns an Dùbhlachd Gheamhraidh agus Tàladh Chriosda. Còmhla riutha, tha deagh thaghadh de laoidhean gu math nas ùire, mar Reul Thorach an Àigh le Maoileas Caimbeul agus feadhainn mar Pàiste am Betlehem a dh'eadar-theangaich Coinneach MacFhionghuin on Ghàidhlig Mhanainnich. Air an dara CD, cluinnear laoidhean sìmplidh agus òrain bheòthail agus tarraingeach a chòrdas gu mòr ri luchd èisteachd òga. Tha iomadh neach-ciùil ainmeil le deagh mheasgachadh de dh'ionnstramaidean a' toirt taic do dh'Fhiona. Uaireannan, tha an taic gu math sìmplidh, mar a chluinnear ann an Ciùin an Oidhche. Aig amannan eile tha e fuaimneach agus togarrach, 's nas fhaisge ri ceòl rock mar ann an Alleluia. Chaidh an luchd ciùil a chleachdadh ann an dòigh gu math innleachdach. Mar sin, tha na pìosan ciùil daonnan inntinneach, agus gu math eadar-dhealaichte o chèile ann an dreach, ach daonnan a' leigeil leis an luchd èisteachd an guth binn aig Fiona a chluinntinn gu soilleir. Air iomadh adhbhar, tha Duan Nollaig tlachdmhor da-rìribh. FOR folk fans and Gaelic speakers, the obvious choice is Fiona Mackenzie's Duan Nollaig (Greentrax, £15.99), a delicately sung double CD mixture of translated Christmas standards such as Silent Night and original Gaelic songs like the beautiful Tàladh Chriosda, "the Christ Child's Lullaby". The second disc is slanted towards younger listeners and should be a welcome resource at Gaelic-medium schools. Here we have an instant Christmas from the beautiful songstress, Fiona Mackenzie. Being a Gaelic Christmas album, the tracks are in Gaelic. You will recognize all the old favourites and they sound unusually fresh when heard in a different tongue. The entire first CD is made up of carols and songs. Many are familiar if only in the airs, while she adds a few new items to the mix. Here you will find the familiar sounds of Christmas like "Silent" Night" alongside the less common Manx carol "Paiste am Bethlehem." The second disc is aimed more at the younger generation with songs more familiar to them like "Twelve Days of Christmas" and "We Wish You a Merry Christmas." "Leanabh an Aigh" combines the more familiar strains of "Morning Has Broken" with "The Blessed Infant." There is a wonderful rendition of "Silent Night" with its haunting opening an a cappella verse, but one of the more unusual Christmas offerings is "Alleluia." This is unusual because it is a translation of Leonard Cohen's "Halleluiah." I bet you never expected that on a Christmas CD. Mackenzie has a beautiful sweet voice ideally suited to such a collection, and I bet if you purchase this and play it, your Christmas repertoire will be enhanced this year. There’s a feeling of ‘Gaelic for everyone’ in this wonderful collection for the festive season. Fiona and her team of musicians combine to produce an impeccable mix of traditional Gaelic words and melodies infused with some musical tinsel ideal for Christmas. Fiona Mackenzie is one of the stellar voices of the Gaelic language in Scotland. In this 2 CD set, she has set down many traditional Scottish hymns in Gaelic as well as more traditional hymns. Beginning with “Leanabh an Aigh” (The Blessed Infant) with the tune that most would recognize as “Morning has Broken” but has always been credited as an old Gaelic melody. Fiona provides great liner notes as to the origin of the songs and even covers Leonard Cohen’s “Halleluiah”. The second CD is for youngsters of all ages and sets out a lot of familiar carols such as “Away in a Manger” in Gaelic but also has lots of other fun songs such as “Preasantan” (Presents) and “Bodach na Nollaig” (Father Christmas). For those who love the Gaelic language and want to have a really, truly Scottish Christmas sound experience, you won’t find better than this. If you want to start the kids singing Gaelic-get them started on CD two! "A splendid evocation of Gaelic music and an encouraging example of solid hope for the future of the language too"
Celtic albums, for me, either go to the heart or, however good they may be, do not, and this one does. With such an unpretentious title (subtitled in English "A collection of Gaelic songs from Ross-shire)), an unpretentious cover, and little-known label (Màiri Mhór Fellowship), this is all to likely to be overlooked. It is difficult to find words to describe this gorgeous voice and the superb arrangements, but to the celtophile, perhaps citing some of the supporting cast will give an idea of where this comes from: Julie Fowlis, Katie Mackenzie, Eamon Doorley (Danú), Carol-Anne Mackay (Dòchas), Lauren MacColl (now with two solo CDs to her name)and others. Really, though, this is irrelevant, as the voice and spirit carry this recording far and high. Her (I think) second CD, called "A Good Suit of Clothes" will be better known as it is on Greentrax, and is one of the most sophisticated productions of Scottish singing I have heard. But don't miss this one. If it hadn't been for the kindly owner of the Celtic music shop in Portree, I would have. This is just wonderful. It’s a soothing and lyrical collection that demonstrates the beauty of the songs of Ross-shire, and it is beautifully sung (the vocal arrangements are both lovely and generous in the way they allow each singer’s vocal strengths to be appreciated). The tone of the recording is warm and intimate, and Fiona has chosen her material well, including unaccompanied and Gaelic choral harmony songs. Other highlights include tales of hunting, love, and loss, including the gorgeous, unaccompanied ‘Ailean Dubh à Lòchaidh’ and ‘Ribhinn a’Chuil Bhàin’ where the voices of Fiona, Julie and Katie are joined by a lone, plaintive fiddle. This album is well worth seeking out for the lovely song arrangements, and the opportunity to hear little-known songs that have such deliciously lyrical tunes!